The private pilot attempted a short-field takeoff procedure, and air traffic control tower personnel observed the airplane about 200 ft above ground level about 900 ft from the beginning of the runway. The airplane then drifted left, descended, and impacted trees. Although the pilot subsequently reported a loss of engine power and climb performance, a test run of the engine following the accident revealed no anomalies. The pilot had an approximate 5-year gap in flying experience and had not completed a flight review, although he reported about 21 hours of flight experience in the 90 days preceding the accident. He reported a total flight experience of 143.3 hours, of which 59 hours were in the accident airplane make and model. It is likely that the pilot exceeded the airplane's critical angle of attack while attempting a short-field takeoff, which resulted in an aerodynamic stall at an altitude too low to recover. The pilot's exceedance of the airplane's critical angle of attack while attempting a short-field takeoff, which resulted in an aerodynamic stall. 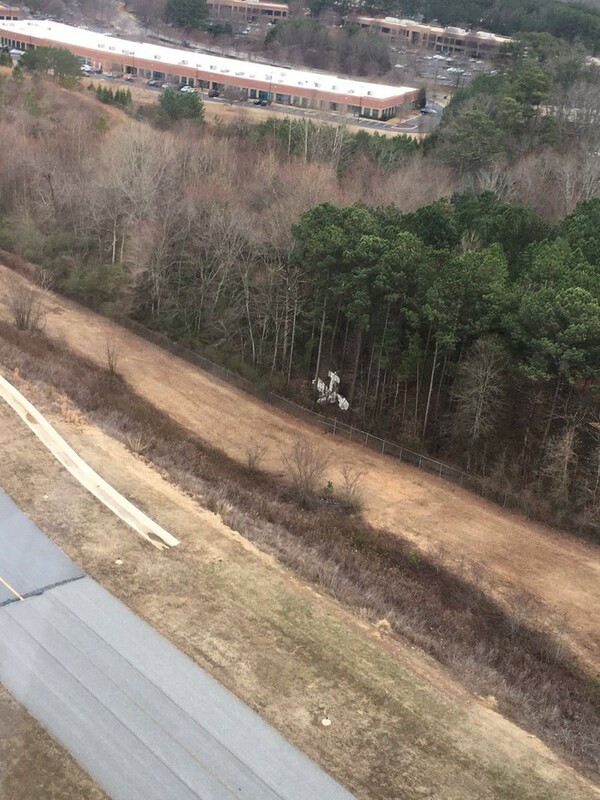 On January 5, 2017, about 1700 eastern standard time, an Aircraft MFG & Development Co, CH 2000, N683AM, was substantially damaged when it collided with trees, during the initial climb after takeoff from Cobb County International Airport (RYY), Atlanta, Georgia. The private pilot was seriously injured. The airplane was operated by the private pilot as a personal flight conducted under the provisions of 14 Code of Federal Regulations Part 91. Visual meteorological conditions prevailed and no flight plan was filed for the planned local flight. The pilot reported that he had planned to perform some touch-and-go landings at RYY. During initial takeoff on runway 27, he applied full power and initiated a climb at the appropriate airspeed. Shortly thereafter, the airplane experienced a loss of engine power and climb performance. The left wing and nose dropped, but no stall warning horn sounded. 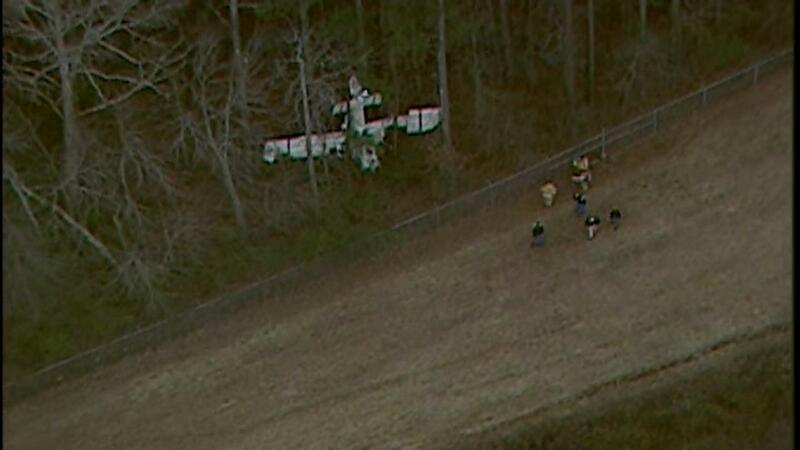 The pilot leveled the wings and configured the airplane quickly for landing, before colliding with trees. The pilot further reported that he had acquired his private pilot license in 2009, but had not flown between 2010 and 2015. He also had not completed a current flight review. The pilot reported a total flight experience of 143.3 hours; of which, 59 hours were in the same make and model as the accident airplane. He had flown 21.3 hours during the 90-day period preceding the accident. According to a Federal Aviation Administration (FAA) inspector, air traffic control personnel observed the airplane about 200 feet above ground level as it was approximately 900 feet from the beginning of runway 27. The airplane then drifted left, descended, and impacted trees. 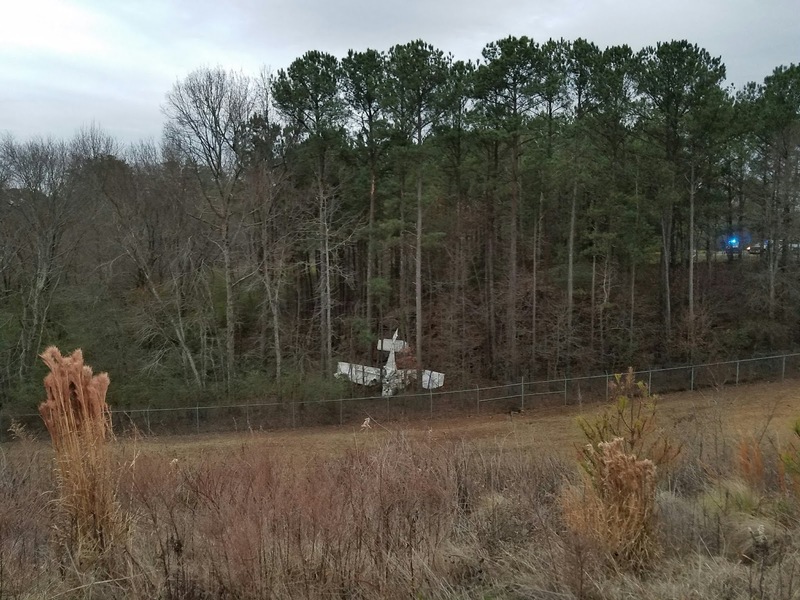 The inspector further stated that the airplane came to rest in a wooded area south of runway 27, about 1,400 feet from the beginning of the runway. The inspector examined the wreckage at the accident site and noted that during the impact, the airplane suffered damage to both wings and the fuselage. The inspector observed the flaps in the full-extended position. He also found an airplane operating handbook in the cockpit and observed that it was open to a page describing short field takeoffs and landings. He added that due to impact damage, some fuel had leaked from the airplane. After the wreckage was recovered to a salvage facility, a test-run of the engine on the airframe was conducted under the supervision of an FAA inspector. The engine started without hesitation and ran for several minutes at different power settings, including full power. The recorded wind at RYY, at 1647, was from 300 degrees at 3 knots. On January 5, 2017, about 1700 eastern standard time, an Aircraft MFG & Development Co, CH 2000, N683AM, was substantially damaged during a collision with trees, during the initial climb after takeoff from Cobb County International Airport (RYY), Atlanta, Georgia. The private pilot was seriously injured. The airplane was operated by the private pilot as a personal flight conducted under the provisions of 14 Code of Federal Regulations Part 91. Visual meteorological conditions prevailed and no flight plan was filed for the planned local flight. The pilot reported that he had planned to perform some touch-and-go landings at RYY. During initial takeoff on runway 27, he applied full power and initiated a climb at the appropriate airspeed. Upon reaching a low altitude, the airplane experienced a loss of engine power and climb performance. The left wing and nose dropped, but no stall warning horn sounded. The pilot leveled the wings and configured the airplane quickly for landing, before colliding with trees. According to a Federal Aviation Administration inspector, air traffic control personnel observed the airplane about 200 feet above ground level as it was approximately 900 feet from the beginning of runway 27. The airplane then drifted left, descended, and impacted trees. 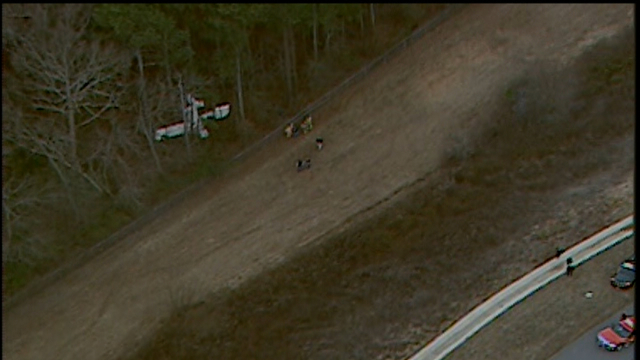 The airplane came to rest in a wooded area south of runway 27, about 1,400 feet from the beginning of the runway. The inspector examined the wreckage at the accident site and noted that during the impact, the airplane suffered damage to both wings and the fuselage. The inspector observed the flaps in the full-extended position. He also found an airplane operating handbook in the cockpit and observed that it was open to a page describing short field takeoffs and landings. He further stated that due to impact damage, some fuel had leaked from the airplane. Busting rules and busted airplane. An old story retold many time. Regarding short field takeoff practice during training, my former USAF pilot instructor would tell me you aren't doing it right if the stall warning wasn't starting to talk to you. It was a fine balance of knowing when to relax pressure on climbout while ensuring your imaginary 50' obstacle was cleared. Practice practice practice. WITH an instructor. You lose stick and rudder flying skills like this over years, and the older you get, the longer it takes to regain that edge of being razor sharp. Of course, the older you get as well, you never regain how good you were, or think you were. The fact this guy didn't even get re-checked out says it all.